So sang SCOTT McKENZIE, a true one hit wonder himself but what a hit it was. This so called “anthem” arrived on the airwaves May 13, 1967, and was used as an invitation “across the nation” as a way to publicize the upcoming “charity” concerts called THE MONTEREY INTERNATIONAL POP FESTIVAL June 16 to June 18, 1967. This 3 day event was organized by PAPA JOHN PHILLIPS who incidentally wrote the aforementioned tune, LOU ADLER who produced the tune, along with a host of others who planned this weekend showcase as a way to sanctify “rock” music, similar to the way the Monterey Jazz Festivals gave legitimacy to that genre. All proceeds would be given to charity. Artists were expected to play a 40 minute set without a fee, however their flights, accommodations, etc, would all be first class. The song becomes an instant radio hit ,#4 on the BILLBOARD charts, and while estimates vary, thousands celebrated rock music that weekend in a fair grounds 120 miles south of San Francisco. Yet, the tune transcended its purpose. 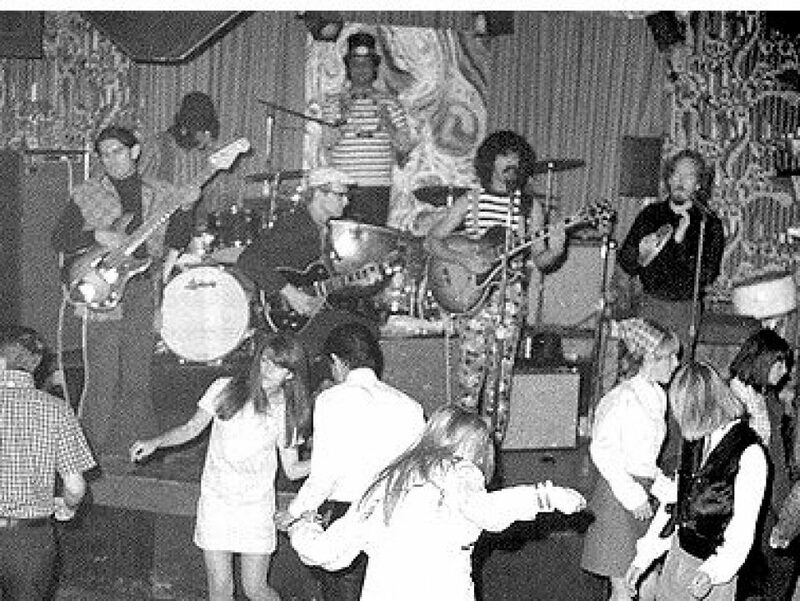 The imagery of the song provoked and encouraged thousands of listeners to attend “the party” which would become THE SUMMER OF LOVE in San Francisco. HOW DO WE GET THERE? Well, not directional or travel arrangements wise but rather how did this LOVE thing happen? Well, The BEAT poets of NORTH BEACH, SAN FRANCISCO could be considered the fore fathers of the movement with their non-conformist attitudes while rejecting materialistic values. Then there was the celebration entitled the HUMAN BE-IN at Golden Gate Park in January of 67, an idea of MICHAEL BOWEN the avant-garde artist and co-founder of THE ORACLE, a premier “underground” newspaper which announced the event. This Be-In inspired the play HAIR: The American Tribal Love -Rock Musical by Rado and Ragni. Also, TIMOTHY LEARY asked the attendees to “turn on,tune in,drop out”.About 30,000 attended. The mainstream media picked up the story, highlighting Tim Leary, the drugs (LSD and mushrooms), the clothing and the music. These photos and images were shown on the nightly news. TIME magazine ran a cover story on THE HIPPIES and even CBS NEWS had a special report in August.This influx of “flower children” arrived to the 25 square block area of San Francisco with the cross streets , the intersection of it all, HAIGHT-ASHBURY. So sang SCOTT McKENZIE, a true one hit wonder but what a hit it was. This so called “anthem” arrived on the airwaves May 13, 1967, and was used as an invitation “across the nation” to publicize the upcoming “charity” concerts baptized as THE MONTEREY INTERNATIONAL POP FESTIVAL June 16 to June 18, 1967. This 3 day event was organized by PAPA JOHN PHILLIPS who incidentally wrote the aforementioned tune, LOU ADLER who produced the tune, along with a host of others who planned this weekend showcase as a way to sanctify “rock” music, similar to the way the Monterey Jazz Festivals gave legitimacy to that genre.All proceeds would be given to charity. Artists were expected to play a 40 minute set without a fee, however their flights, accommodations, etc, would all be first class. The song becomes an instant radio hit ,#4 on the BILLBOARD charts, and while estimates vary, thousands celebrate rock music that weekend in a fair grounds 120 miles south of San Francisco. Yet, the tune transcended its purpose. The imagery of the song encouraged thousands of listeners to attend the party which would become THE SUMMER OF LOVE in San Francisco. The BEAT poets of NORTH BEACH, SAN FRANCISCO could be considered the fore fathers of the movement with their non-conformist attitudes while rejecting materialistic values. Then there was the celebration entitled the HUMAN BE-IN at Golden Gate Park in January of 67, an idea of MICHAEL BOWEN the avant-garde artist and co-founder of THE ORACLE, a premier “underground” newspaper which announced the event. This Be-In inspired the play HAIR: The American Tribal Love -Rock Musical by Rado and Ragni. Also, TIMOTHY LEARY asked the 30,000 attendees to “turn on,tune in,drop out”. The mainstream media picked up the story, highlighting Tim Leary, the drugs (LSD and mushrooms), the clothing and the music. These photos and images were shown on the nightly news. TIME magazine ran a cover story on THE HIPPIES and even CBS NEWS had a special report. This influx of “flower children” arrived to the 25 square block area of San Francisco with the cross streets , the intersection of it all HAIGHT-ASHBURY.